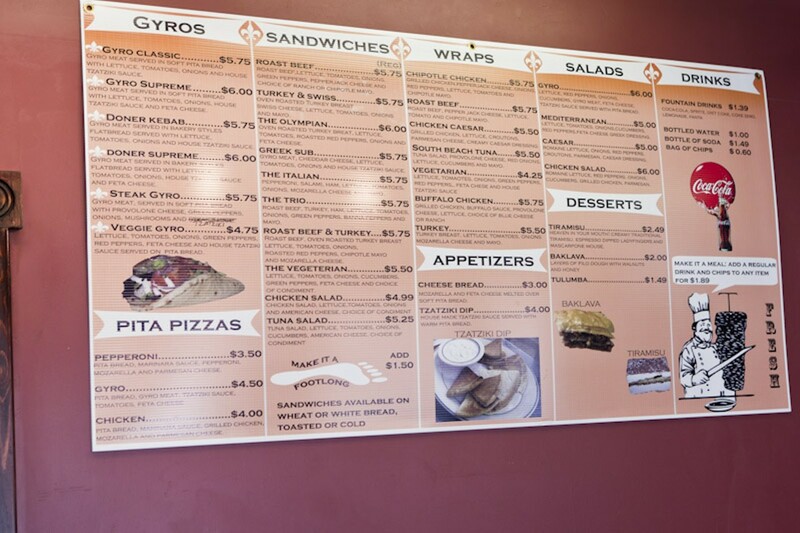 Soulard Gyro, which opened in the fall 2009, offers a simple menu of wraps, gyros and sandwiches from its modest storefront in its eponymous neighborhood. 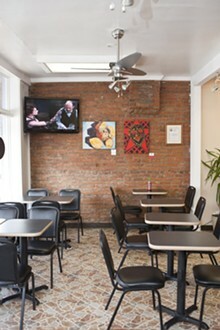 Vegetarian options are also available in each category. 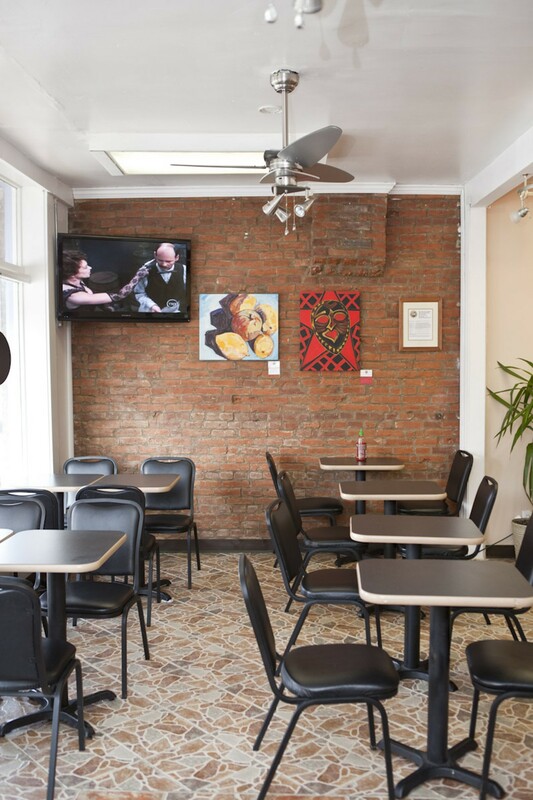 Diners can choose takeout or sit at one of a few tables inside. 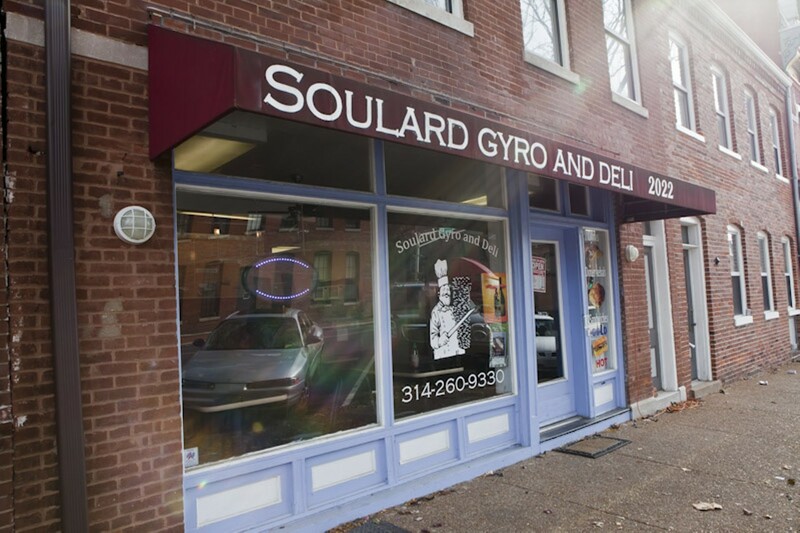 Soulard Gyro accepts cash only. Grilled chicken breast, buffalo sauce, provolone cheese, onions, tomatoes and lettuce. Gyro meat, lettuce, tomatoes, onions and tzatziki sauce on pita bread. Grilled chicken breast, provolone cheese, tangy bbq sauce, lettuce, tomatoes and onions. Iceberg lettuce, onions, tomatoes, cucumbers, peppers, kalamata olives, feta cheese and tzatziki sauce served with warm pita bread. Feta and provolone cheese melted over a garlic pita bread.